Finished Eucalyptus Spearmint Bath Salts. Today has been a crazy day here at The Sage. We have been working hard to get all of your orders out the door. I just got done packing a ba-jillion boxes so they can ship today. Whew! Okay, so I might be exaggerating a little bit but my body sure feels like I just packed a million boxes. The first thing I’m going to do when I get home is soak in the tub until I am all wrinkly. It might seem kind of cheesy, but I love to light a few candles while I’m taking a bath. It really helps you unwind after a crazy day of non-stop go, go, go. These bath salts are so simple to make. First weigh all of your ingredients into a bag. Then close it up and shake it until you can’t shake it anymore! Then you are ready to put it into the container of your choice! Simple, right? 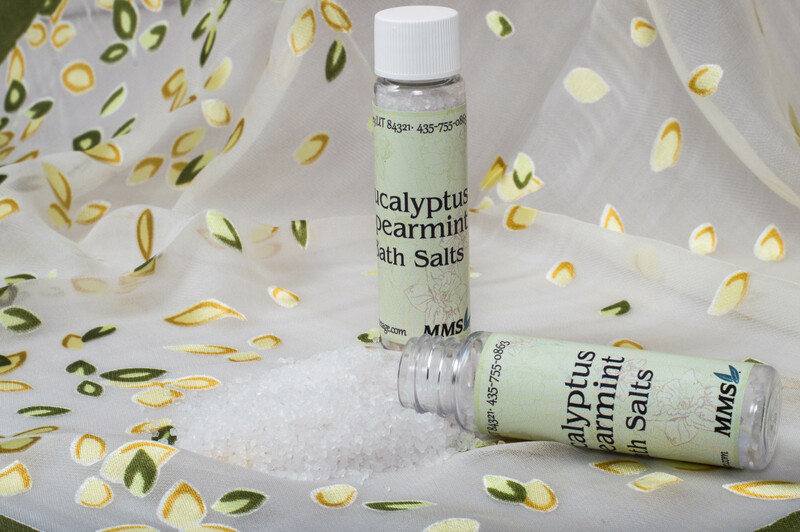 For these Eucalyptus Spearmint Bath Salts we used the 1 fl oz Cylinder Bottle but you could also use our Bath Salt Tubes! ← Last day to order for 2016 shipping!